ESPN International Track & Field, known as Ganbare Nippon! 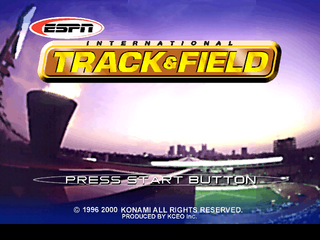 Olympic 2000 (がんばれ！ ニッポン！ オリンピック2000) in Japan, is an athletics game for the Sega Dreamcast. Main article: ESPN International Track & Field/Magazine articles.